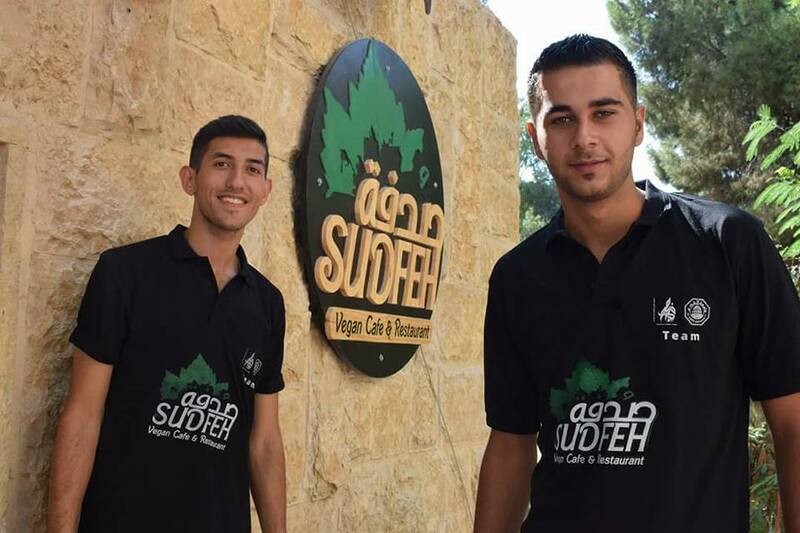 On the 10th October 2016, Palestine’s first ever vegan cafeteria, Sudfeh, opened its doors for the first time. Located on the campus of Al Quds (Jerusalem) University, the cafeteria is not only the first of its kind in Palestine, but also in any university in the Arabic-speaking world. It was safe to say that the team was hopeful, but more than a little nervous, about how Sudfeh might be perceived and, importantly, whether people would come and eat there. 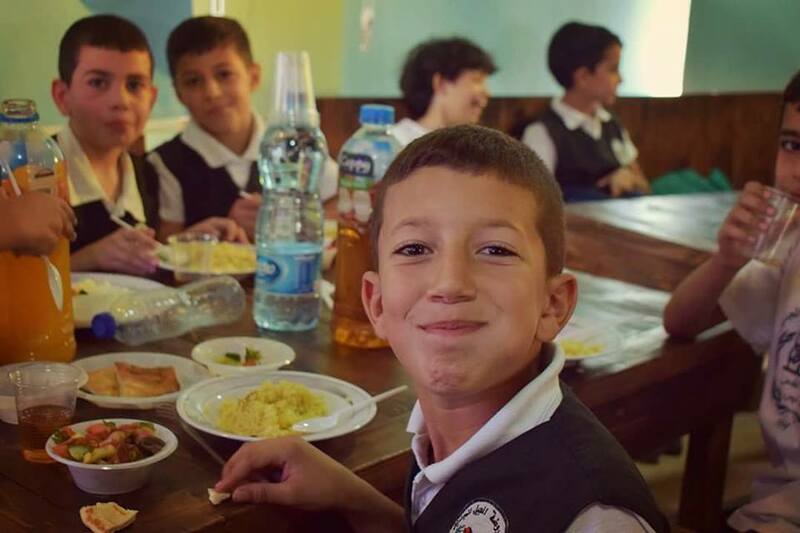 In Palestine, veganism is little-known and the animal rights movement is in its infancy so the idea of a vegan cafeteria seemed somewhat radical when the project was first mooted. But the team behind the cafeteria, which is run as a joint not-for-profit initiative by the Palestinian Animal League (PAL) and Al Quds University, need not have worried. From its first day, Sudfeh has been full of happy customers; indeed, the success of the first week saw the kitchen completely selling out of food every day and having to up the food production to ensure that hungry customers could get their fill of healthy, nutritious, cruelty-free food. In its first month, Sudfeh has provided over 1,600 vegan meals to students on campus and the feedback has been hugely positive. Initially sceptical, students soon realised that the food served in Sudfeh is not only freshly prepared by talented chef, Anan, and his team, but that the dishes on offer are familiar Palestinian cuisine which many do not realise are vegan by default. For example, hummus, foul (beans), soups, stuffed vine leaves and (of course) falafel, are delicious dishes that form a large part of the Palestinian diet and have always been vegan. Add to this traditional favourites which can be “veganised” very easily, such as maqluba (“upside-down rice”) and the Sudfeh menu enticed initially cynical students and staff and kept them coming back. As well as serving up great food, juices, smoothies and coffee, Sudfeh also acts as a centre for social justice activism and learning. Quiz nights focused on Palestinian history have been a great success and 280 school children who were visiting the University as part of a programme to encourage young people to consider higher education options also made use of the facility. Part of their visit was lunch at Sudfeh and a fun-filled workshop where they learned about veganism and plant-based nutrition. Not just that but Sudfeh boasts a library of over 200 books on subjects including politics, history, activism, animal rights and philosophy. These books are freely available to all students and a book exchange will soon be operating in the café. “Sudfeh is progressing well and it has become something of a “household name” in the University. We already have a growing loyal customer base who come and eat with us every day; some staying for hours simply to enjoy the atmosphere and make use of our ever-expanding library. As winter approaches, we hope that business will continue to thrive as we offer a comfortable space for students to come and relax and socialise. We are so delighted that Sudfeh has become a reality and would like to thank everyone, both here in Palestine and internationally, who made the project happen. Without the courage and determination of everyone, it simply would not have been possible”. 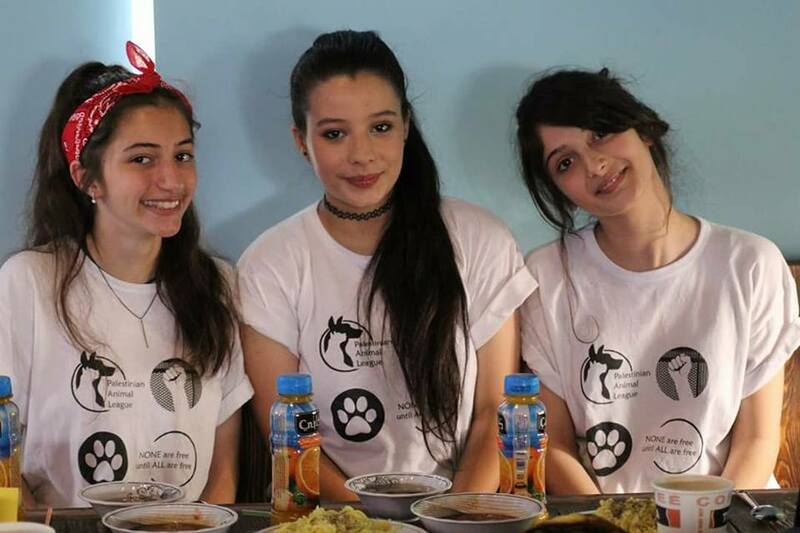 The Sudfeh initiative grew from PAL’s “Youth for Change” programme, which works with young people in Palestine to support child-led projects to improve animal welfare or protect the local environment. Sudfeh was the idea of a group of 14-year-old schoolgirls who aspire to attend Al Quds University when they leave school. Knowing that there was not currently a vegan cafeteria on their chosen campus, the girls set about making a change.  Having arranged a meeting with the President of the University, the young women convinced him to both give over the space on campus rent free and to allow for 50% of the profits from Sudfeh to go to establish a scholarship fund for struggling students and 50% of profits to go towards supporting PAL’s animal protection projects. The start-up funds for the café – which came to £10,000 – were raised via the generous contribution of 200 individuals and organisations around the world via a crowdfunding project.